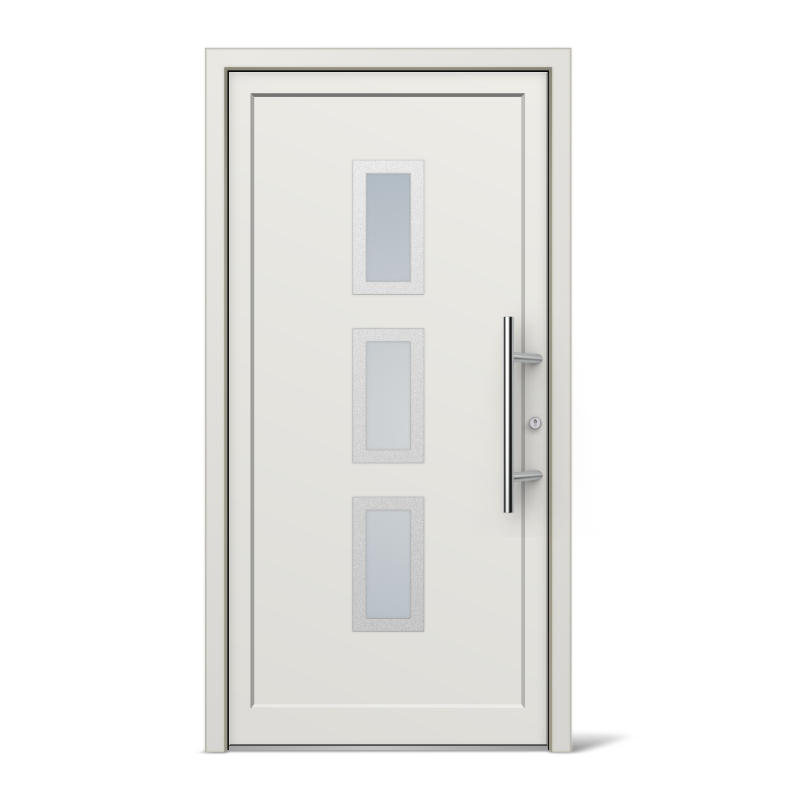 The model Bristol combines sophisticated design with elegant functionality in front doors of PVC, therefore making it ideal for private use as well as for company premises or commercial enterprises. Wherever the building is this front door simply has style. It couldn’t have been any better for us! The price-performance ratio is great! I’d definitely order again in the future. 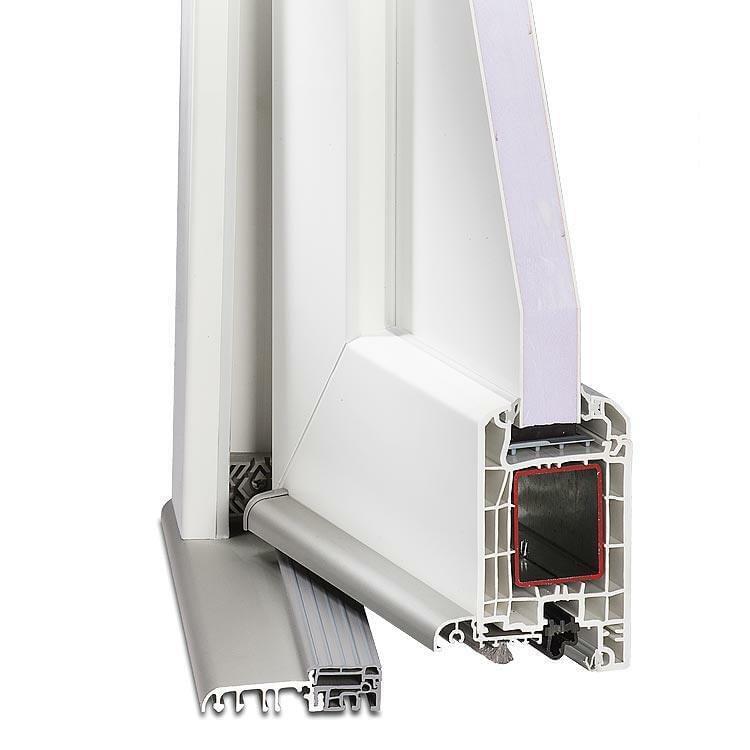 Besides having a good thermal transmittance coefficient according to German standard DIN EN 673 as well as long durability at a reasonably low price, the Bristol model like PVC front doors generally stands out due to the very low maintenance. Furthermore, PVC front doors can be adapted perfectly in terms of look to suit one’s own tastes. In order that the combination of the doors optimally matches the windows and the surroundings externally and also to the interior furnishings then, amongst other extras, both the colour and the glazing can be freely selected for this model of door. 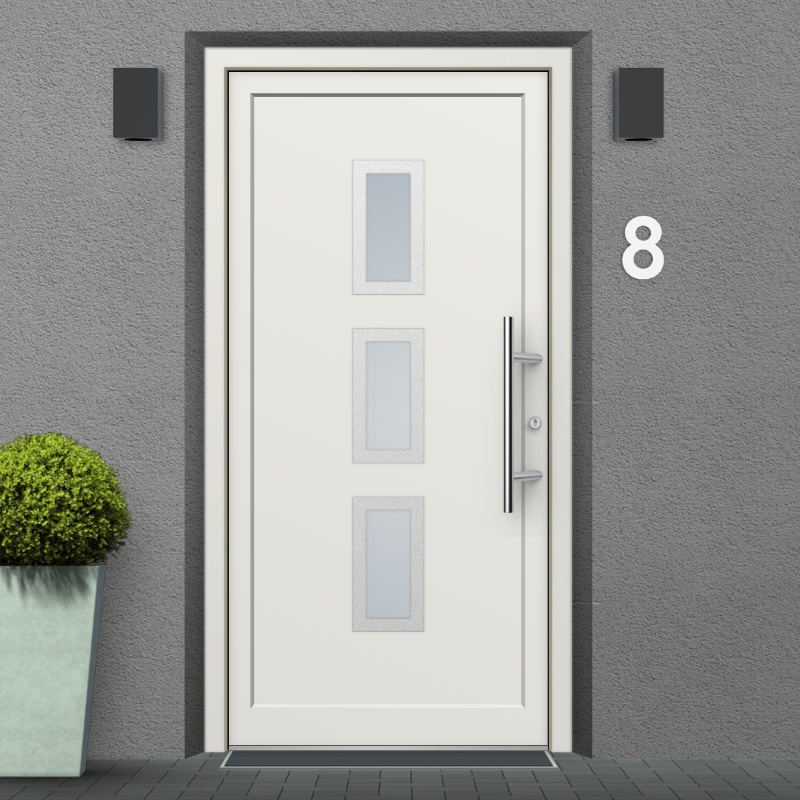 Then regardless of whether existing windows are of timber or of PVC coated in one of the RAL paint colours, front doors of PVC of the Bristol model can be made to match. Maybe an elegant timber decor finish, which can also be chosen for the inside of the front door if requested, can harmonise best with one’s furniture. Classic white for a front door is, even today, never a bad choice. 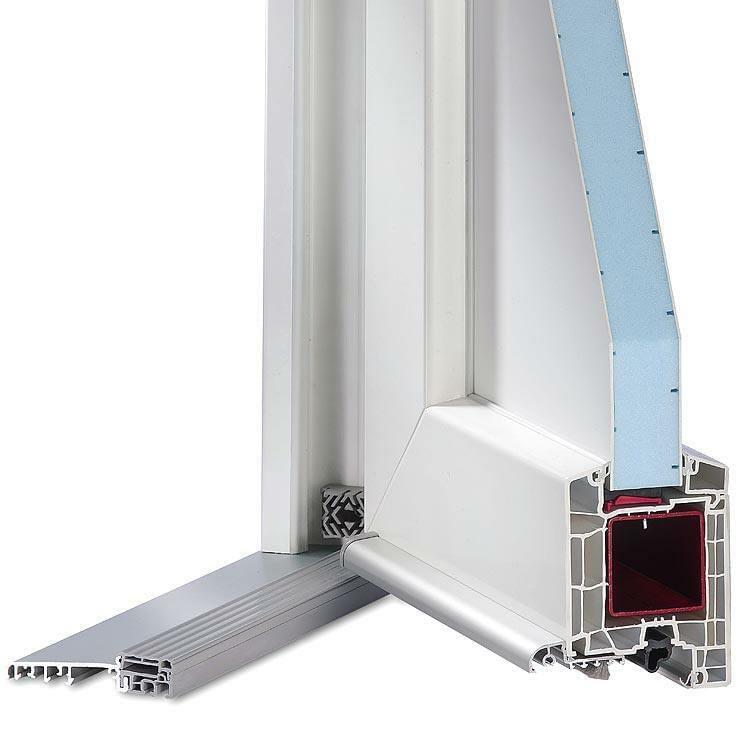 All this is complemented by the extremely good service at Windows24.com, regardless which product is being considered or whether it is manufactured in wood, PVC or aluminium. Front doors can be delivered to virtually every corner of the globe, and with a comprehensive money-back-guarantee the customer is always on the safe side with this company. 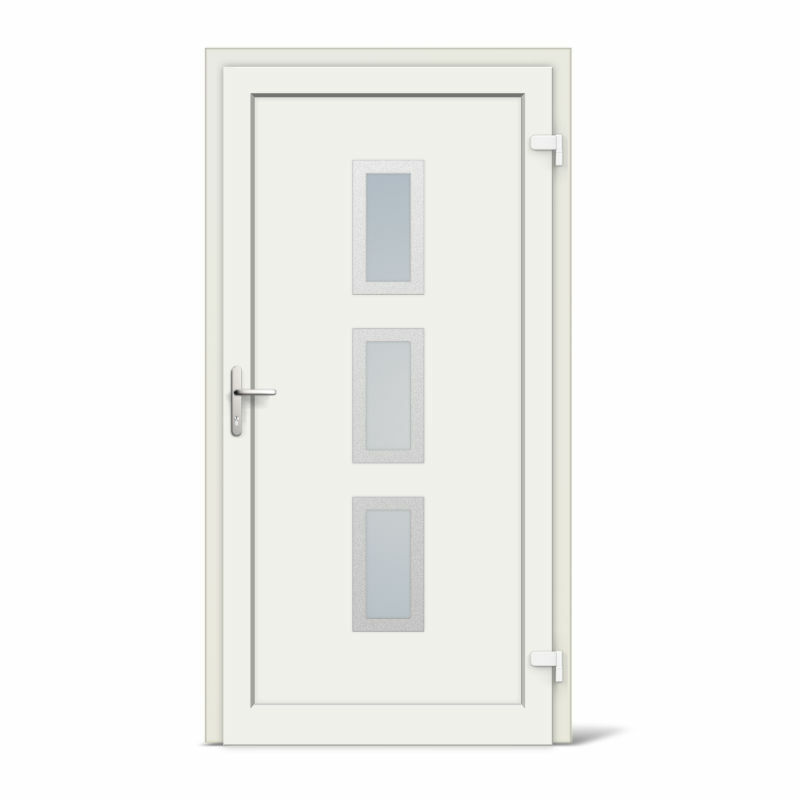 Entrance door Model Bristol with its classic modern appearance and three rectangular glass panels, is available in multiple colour variants.